Besides enjoying several hits from Drake, the year 2018 has been a time of surprises on most charts. There are a handful of big names who managed a successful return, taking to many unexpected spots. And it’s amazing to learn that almost every singer with a comeback made a forgivable predictability at the highest level of pop music. When it comes to new hit music, even many rap singles have secured top positions on the Hot 100 for weeks this year. Then there is hip-hop, and jazz that emerged as the most consumed music genres in last more than 18 months. Some tracks of new hit music routinely broke streaming records and faced a tough slog over the airwaves. The pop band of Maroon 5 came up with their new song “Girls Like You” this year and gathered lots of success and popularity. They successfully managed to show the industry the actual form of diversity while addressing diverse social problems through some badass women. Its video has been recorded in a way that empowers women in many ways. Cardi B has also contributed to its success as she through her performance brought a blend of athletes, activists, and celebrates together for the real demonstration of strength. 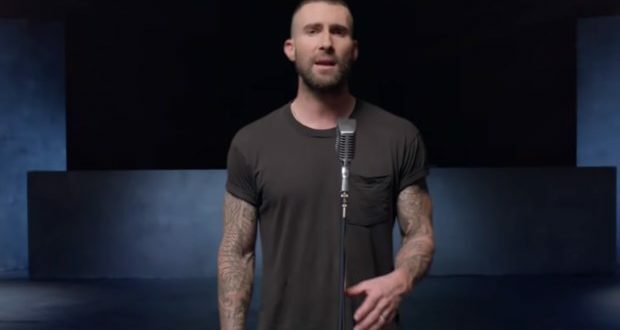 All in all, no chart of new hit music is complete without mentioning Maroon 5’s Girls Like You”. This is an amazing dance track from new hit music these days. With “Solo”, Clean Bandit gave a comeback with Demi Lovato and blew up the dance scene. It’s one of their global smash hits which take you back to the unique dance groove of Clean Bandit. “Solo” begins with high-pitched jumpy repeat of the title song until its first few verses and has good dance beat of the band’s particular style. The trio has used a range of diverse musical effects and repeated certain words throughout the chorus. Demi’s singing is good particularly at those spots where she wants to emphasis on some meaningful lines by making them feel obvious. Compared to the band’s previous work, “Solo” is a better track which drives it to the best of new hit music at present time. Drake’s “Scorpion” is a full of musical surprises. It is even more surprising to learn that the rapper secures a strong number one position for his hits that too smashed Billboard’s top 100 songs chart, maintaining top position for months. With his songs like “In my feelings”, Drake gets all the privileges of being first artist after almost a decade who has been dominating the listing’s top position in the first six months of the year. With “In My feelings”, Drake seems to have smashed all the records, making it a viral dance challenge across the world. “Eastside” is a pleasant yet an imperfect listening experience wherein the pop star Benny Blanco tapped Khalid and Hasley to join him. As superstar collaboration in new hit music, the song is a plate of diverse spices. Khalid with his amazing voice seems to be dominating on the first part which we guess is the right thing happening on the track. “Eastside” has all the elements of modern pop music as well frills of electronica and dance though there is nothing groundbreaking or brand-new except for the sound. It is perhaps the most confusing and most romantic frustration pop song that emerged on new hit music this year. Zayn and Nicki Minaj provided their incredible vocals to soulful verses, revealing a lot about a fated relationship over lively synths and shining electronics. In fact, the duo has built a breakdown of pitch-shifted vocal samples on the most part of the song. The song chases a range of single work and collaborations for both the stars in the industry. It is a tropical house-leaning track which finds the stars singing about their slowly deteriorating relationships. Overlong and streaming friendly songs like “Better Now” have made their impressively higher standing in today’s new hit music and are like commonplace that almost everybody deserves their classification. More of a numbing mood board than a single with lots of to convey, Post Malone’s new song from “Beerbong & Bentleys” is a faded spin of flexing, misogyny, and heartbreak. The song deals in wavy synths and trapped beats, occasionally showing a hunger for the experimentation that poorly reflects on the entire track. After “One Kiss” the producer and pop singer Calvin Harris, launched a new solo “Promises” where he tapped Sam Smith to join him. The song is likely to stand out in new hit music that has crushed all the dancing floors these days. “Promises” peruses the same pattern of Harris’ previous production and is an insanely attractive chorus. Sam has come up with a refreshingly modest vocal performance that goes perfectly well with the distant and sensual vibe of the music. The holy relic Janet Jackson has recently given a strong comeback with her new single “Made for Now” which is as beautiful as her divine personality. The song also features Daddy Yankee who earned his global pop identity with many of his pop creations. “Made for Now” is a beatific, beaming, and somehow a safe track to enjoy which is too being on demand in new hit music being streaming on radios and television channels. Today’s new hit music includes “Woman” from Cat Power’s new album “Wanderer”. This time the star tapped Lana Del Rey to join her so she could better hop between pop, electronic and pop music. Del Ray has provided her vocal for a backup role where she seems to live in with more confident and more embellishment than other lead singers. The song begins modestly enough as an exposed searching fugitive balled but soon picks up its tempo at the chorus. At some points, the song feels like losing its gentle punch and piling on the beats until it transmutes into a statement of solidarity and confidence.